Feldesman Tucker has been deeply committed to advancing the lives of individuals and the missions of organizations for more than 40 years. As one of the few practices in the Nation devoted to federal grants law, we offer guidance to a wide variety of health and human service organizations serving the public interest. Learn how we can support your mission. Community-based health care organizations dedicated to preserving access to essential health services seek our legal counsel. Find out how we can protect your ability to serve those most in need. Recognized as top divorce lawyers in Washington, D.C and surrounding areas, the family law group helps divorcing clients protect their children, relationships, and financial resources so they can successfully move forward after divorce. Learn more. 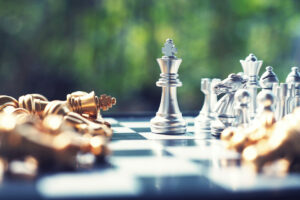 Each problem facing a client is like a chess match, and requires creativity and a new approach.